The University of Minnesota Rochester is tapping into technology from Portfolium to revamp its accreditation management and reporting process. 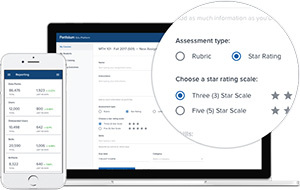 The institution is implementing Portfolium Assessment, a newly launched software platform for documenting student learning outcomes that can be used both for academic accreditation and for assessment of co-curricular learning. The rollout comes with a move to the Canvas learning management system, allowing the university to centralize the collection, archival and assessment of learning artifacts and bring assessment data, rubrics and scoring mechanisms out of siloed databases and into the Canvas ecosystem, according to a news announcement. "We selected Portfolium because of its LTI-based assignment sync and grade exchange with Canvas and other learning management systems, and because of how incredibly easy it is for students and faculty to use," said Norman Clark, administrative director of academic programs, in a statement. The university will also use Portfolium's e-portfolio platform to "drive student success and help students reflect upon and share capstone projects directly with employers, showcasing a preview of competencies beyond what can be displayed in a resume," the announcement said. For more information, visit the Portfolium site.